They need everyone. They need hitters. They need pitchers. They need defenders. They need, basically, the calvary to come charging over the hill. They need base-runners. They need defensive players. They need minor-leagures. They need Ghostbusters. If the Tampa Bay Rays are really going to be better, if they are really going to play games in October, then it will take a village. They need trainers. They need coaches. They need waiver-wire pickups. They need health. They need help at the training deadline. I'd say they need fans, but as we know, that's kind of out of the question. A year ago, it all unraveled. Between the injuries and the poor pitching and the non-athletic roster and the defensive lapses and the strikeouts and all the rest, the Rays tumbled down the standings like a guy falling down the stairs. The Rays won only 68 games, and too many times, they looked like stragglers wandering through the darkness. For the Rays to get better, a lot of things have to go right. Imagine a Rubik's Cube with 162 sides. Baseball is a complicated game with so many facets. It's the reason you rarely hear of cellar teams making real runs the following year when the additions are from the dollar store. Which five players are most important to the Rays getting better. 1. 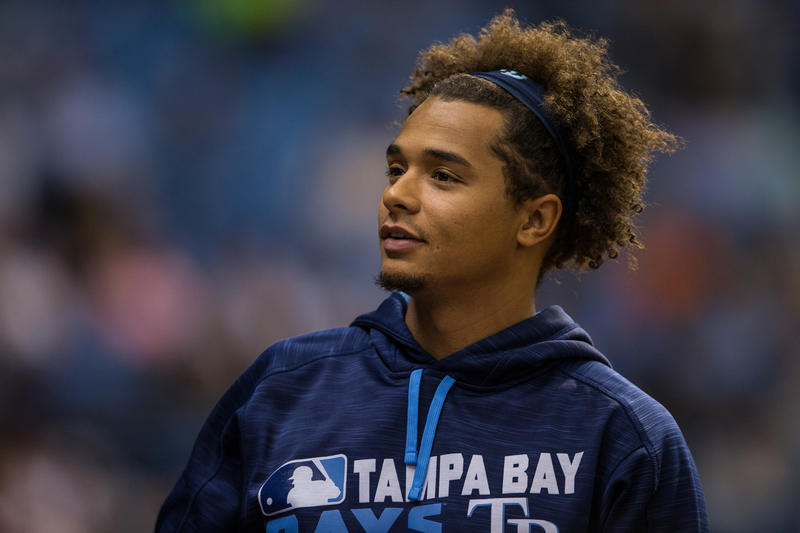 Chris Archer, pitcher: Archer is among the most frustrating of Rays, because he has the ability to make hitters look feeble. Ah, but you can't count on that all the time. Archer gives up too many home runs, and he doesn't always shut an inning down. As a result, Archer was 9-19 last year, and over the last year and a half is 12-28. Even if you don't regard won-loss as a proper measurable, that's too many. This year, Archer has to the best pitcher on the staff by whatever metric you choose. Yes, he can be a 15-game winner (he's never won more than12). 2. Kevin Kiermaier, centerfield: If you're looking for a player who can improve his impact this season, it's Kiermaier. Keirmaier was able to play in only 105 games last year (he played in 151 in 2015), and his average fell to .246. If Kiermayer can get back to the .263 range, possibly higher, than he can make an impact on the basepaths, too. 3. 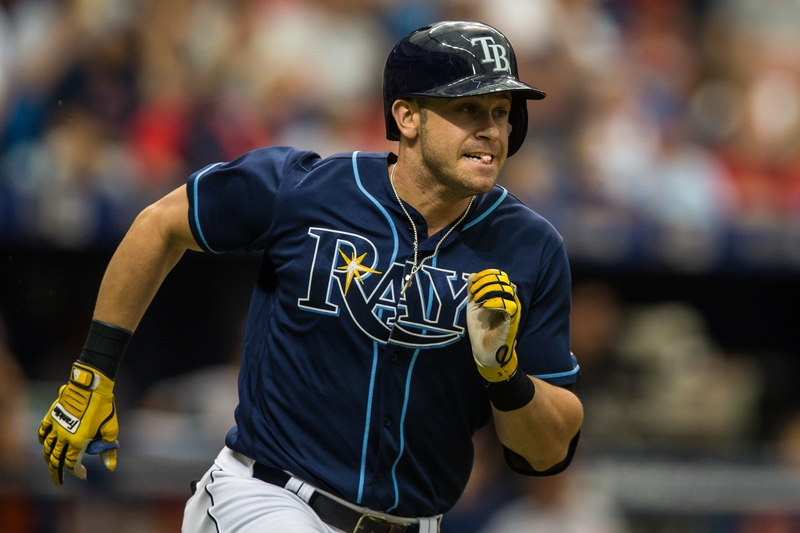 Evan Longoria, third base: The Rays would be pleased if Longo could approximate his numbers from a year ago. He hit .273 with 36 homers and played a solid third base. But can Longoria, at 31, do it again? The Rays are betting that he can. 4. 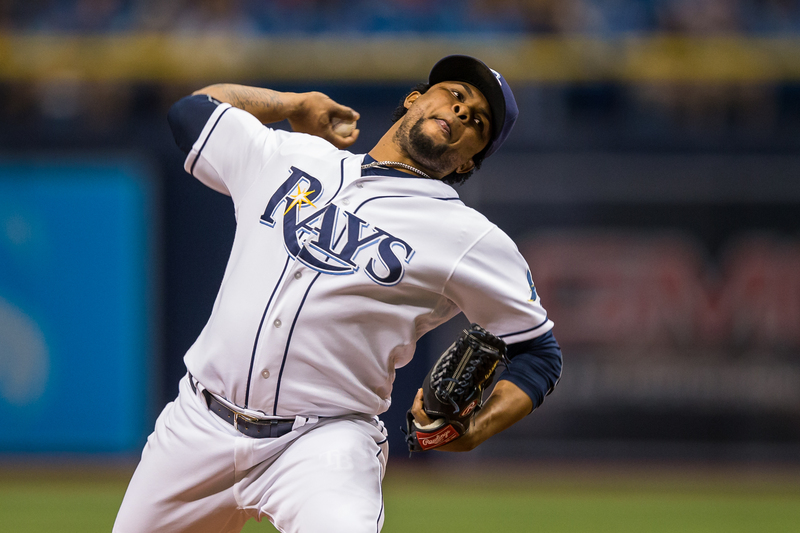 Alex Colome, reliever: The Rays' bullpen starts with Colome, who emerged to save 37 saves for a last-place team. His ERA was 1.91, which is a dizzying stat. With a healthy Brad Boxberger and imported Shawn Tolleson, the Rays have a chance to have a good pen. But it starts with Colome. 5. Brad Miller, second base: Take Miller's home runs in 2013, and in 2014, and in 2015. Together, you'll get 29 dingers. Last year, Miller somehow hit 30 and made himself an essential part of the lineup. But can he do it again? Once again, Miller is moving around the infield, this time to second base where he'll try to replace Logan Forsythe. The Rays could use his pop. 6. Logan Morrison, first base: Morrison got off to a horrible start last year. If the Rays aren't going to dig themselves a hole early, they can't afford for him to do it again. 7. Matt Duffy, shortstop: When the Rays traded Matt Moore, they wanted Duffy included in the deal. That gave a right-now flavor to the swap, but Duffy was injured most of his time here. If he can return and play a solid shortstop, the pitching should benefit. 8. Steven Souza, right field. Souza is a good athlete who can put together a solid highlight film. But there are too many holes in his game. He has to cut down on his 159 strikeouts. 9. Blake Snell, pitcher: Some fans expected to see David Price-in-a-can with Snell last year. Alas, he struggled and finished only 6-8. But that isn't unusual for a young pitcher. Price himself was 10-7 his first full year. James Sheilds was 6-8, Scott Kazmir was 2-3 and Matt Moore was 11-11 in his first full year. Give Snell some time to grow. With decent support, he should be able to win in double-digits this year. 10. Wilson Ramos, catcher: Ramos could be the real deal if only he can get back on the diamond soon. He's a catcher by trade, but he'll start the season as a DH. The quicker he can get back, the more pop the Rays might have in their lineup. Honorable mention: Everybody else. Colby Rasmus and Corey Dickerson and Jake Odorizzi. Alex Cobb and Erasmus Ramirez and Matt Andriese and Tim Beckham. Everyone. It took all of them to finish in last place a year ago. And it'll take them all to get out of the cellar this time around. Larry -(prepare for worst, be pleasantly surprised) That’s how I treat almost every season for the Rays (and the Bucs). I agree with Kevin Kiermaier being one of the most important players in the ultimate success or failure of the Tampa Bay Rays 2017 season. Do you have a further information on the fact that Keirmaier’s stiff neck is believed to be serious? NOTE: I’m not convinced the Tampa Bay Times is a serious media outlet with serious writers or not as evidenced by their incorrect spelling of “believed” in the above published report, so hence my question to you Mr. Shelton. As your third grade teacher taught you i before e, oh never mind they’re too old to learn anyway. If I believed in Santa Claus, the Easter Bunny and the Tooth fairy I might believe the Rays have a chance to be a good team this year. Not playoff good but getting out of last place good. The problem is reality tells me there are way to many what ifs on this team. 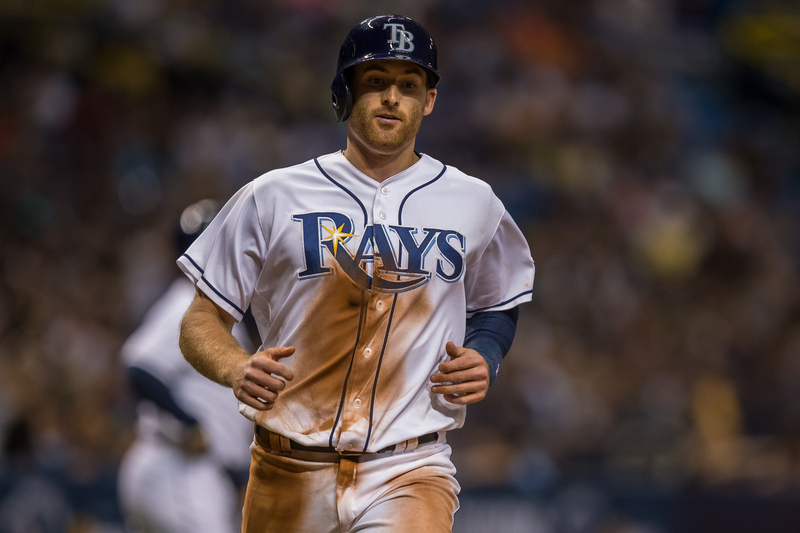 It will take EVERYTHING to go right for the Rays to be competitive this year. I’m guessing the last time that happened was 2008. And before that never. There is talent on this team and we should expect them to improve on last year’s miserable performance but that is a very low bar. So let’s not get our hopes up too high ok? So for all those hundreds of Rays fans out there my suggestion is be prepared for the worst and pleasantly surprised if they do better than that. You don’t believe in Santa?